The high school counselors have been busy visiting the classrooms of our 12th grade students during the month of September to provide them with reminders about how to navigate the college application process. This presentation highlights the information shared with our students. 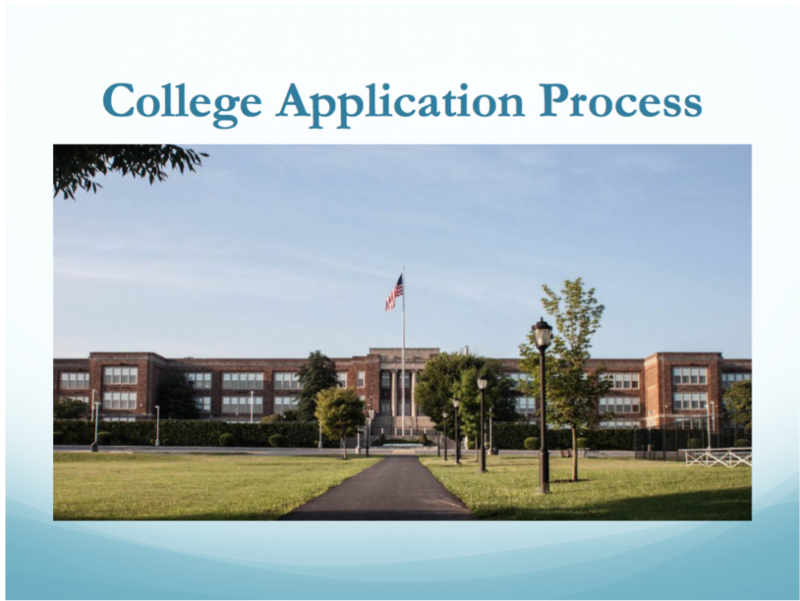 Students and parents are encouraged to contact the counseling department if they desire help of any kind with completing or processing college applications. Homecoming Parade & Football Game TONIGHT! 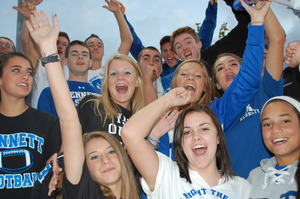 Come out and show your Kennett Pride at tonight’s Homecoming events! Police, band, cheerleaders, superintendent & school board, elementary schools, middle school, high school grouped by classes with their class floats (only HS classes have floats) leading each class, and then the Homecoming Court. 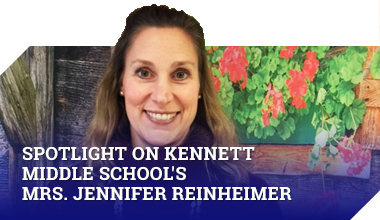 The parade will start promptly at 6:00 p.m. and end at approximately 6:30 p.m.
Start in Kennett High School’s parking lot, up Broad St., left onto Mulberry St., left onto Union St., left back into Kennett High School’s parking lot by the tennis courts and past the flagpole (where the judges will be for the HS floats). The football game will start at 7:00pm. At halftime the band will perform and immediately after the band’s performance, the crowning of the King & Queen will take place. The Pennsylvania Association for College Admissions Counseling (PACAC) will hold the annual PACAC Delaware County Regional College Fair on Thursday, September 28 at the Brandywine Campus of Penn State University. 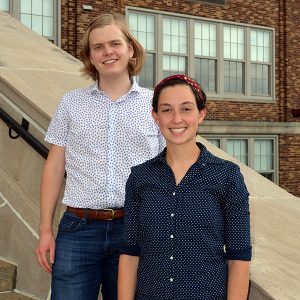 This free event will run from 6:30 p.m. – 8:00 p.m.
Over 150 colleges will come together at this event to provide information and answers to students’ and their parents’ questions. College fairs provide great opportunities for all high school students to learn more about the many post-secondary educational opportunities available to them. Penn State Brandywine is located at 25 Yearsley Mill Road, Exton, PA 19063. 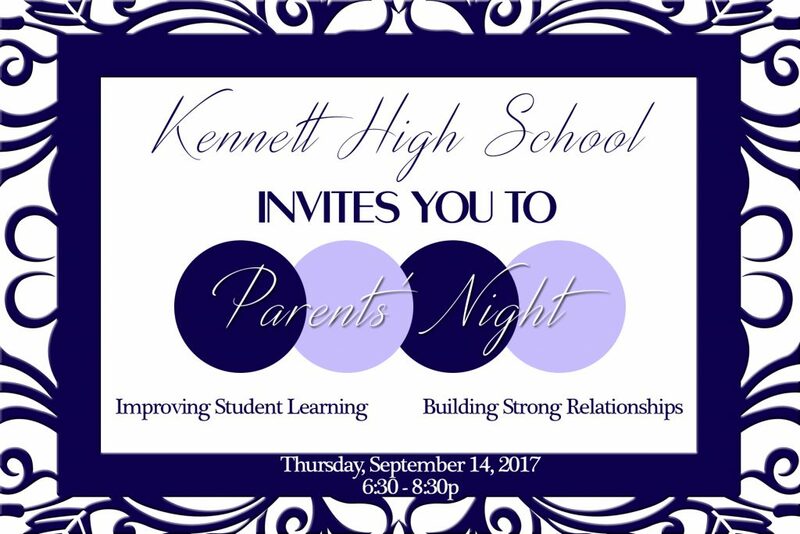 For more information, contact Kennett High School’s Guidance Office. This calendar could be updated throughout the month, please check back regularly. 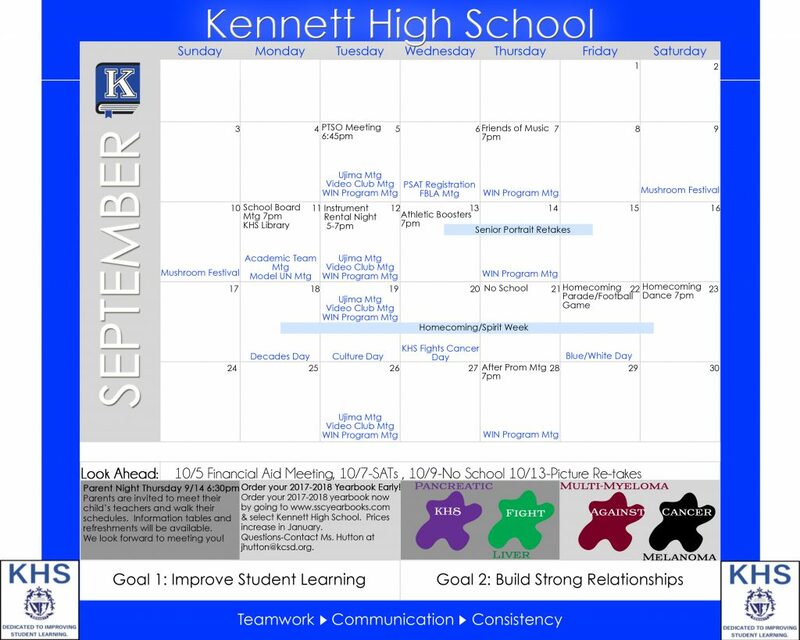 This calendar will report events concerning the High School Only!